Providing you the best range of denim papers for scrapbooking, art and crafts, deckle edged denim handmade paper and denim handmade papers with effective & timely delivery. Large Range of Denim Papers made from Real Denim Fibers. Denim handmade papers available in a variety of shades of Blue. Dark Denim Handmade Paper with Textured Surface. Light Blue Denim handmade paper with real denim fibers. Dark Blue Denim Handmade Papers available in Various Sizes Light Blue Denim Color Options Denim Handmade Papers which are also printer compatible. Denim Handmade Papers are available in Rough, Smooth and Textured Finishes.We manufacture a large range of Denim Papers. Our Denim Papers are available in a wide Variety of Textures, Finish and Sizes, Our Denim Handmade Paper sheet size is 22*30 Inches Paper GSM is starting from 100 and we can manufacture upto 1600 GSM also. Denim Handmade Paper is widely used in the manufacture and supply of Paper Bags and Paper Boxes. We also manufacture Crinkled Denim Handmade Paper. Denim handmade Papers can also be manufactured with Flower Mottling. Denim Handmade Papers are available Deckle Edged also.We also manufacture a range of Denim Handmade Papers with Screen Printing, Block Printing, Embroidery and Embossing. Denim Handmade Paper is manufactured by using Denim Textile Waste Obtained from Textile Mills that make Denim Fabrics. Denim Handmade Papers are Acid Free and Eco Friendly. 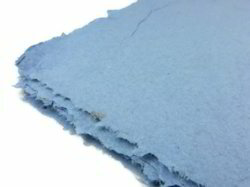 We manufacture a large range of Deckle Edged Denim Handmade Paper. Denim Handmade Papers are made from Textile trims obtained from Denim mills.Large Range of Denim Papers made from Real Denim Fibers. 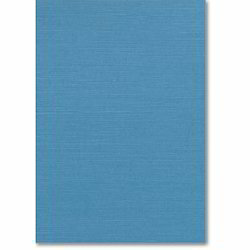 Denim handmade papers available in a variety of shades of Blue. Dark Denim Handmade Paper with Textured Surface. Light Blue Denim handmade paper with real denim fibers. Dark Blue Denim Handmade Papers available in Various Sizes Light Blue Denim Color Options Denim Handmade Papers which are also printer compatible. Denim Handmade Papers are available in Rough, Smooth and Textured Finishes.We manufacture a large range of Denim Papers. Our Denim Papers are available in a wide Variety of Textures, Finish and Sizes, Our Denim Handmade Paper sheet size is 22*30 Inches Paper GSM is starting from 100 and we can manufacture upto 1600 GSM also. Denim Handmade Paper is widely used in the manufacture and supply of Paper Bags and Paper Boxes. We also manufacture Crinkled Denim Handmade Paper. Denim handmade Papers can also be manufactured with Flower Mottling. Denim Handmade Papers are available Deckle Edged also.We also manufacture a range of Denim Handmade Papers with Screen Printing, Block Printing, Embroidery and Embossing. Denim Handmade Paper is manufactured by using Denim Textile Waste Obtained from Textile Mills that make Denim Fabrics. Denim Handmade Papers are Acid Free and Eco Friendly. Looking for Denim Handmade Paper ?